Flexible reporting: Configure your filters the way you want. You can now apply multiple filters to your reports with the redesigned multiple filtering. For instance, you can now filter your Ad sizes report by both the country and platform dimension. Access your top performance metrics: Switch easily between three key performance metrics: Estimated earnings, pageviews, and page RPM. 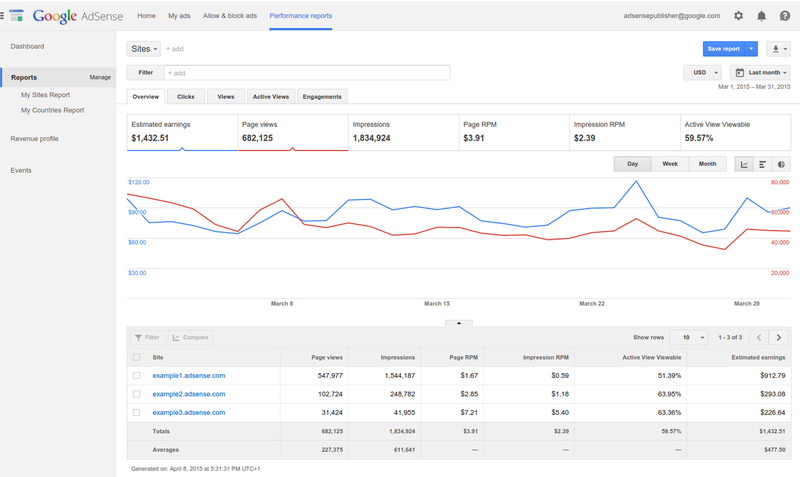 Understand what’s driving your key metrics: Analyze your top performance metrics by five different dimensions: Time, top platforms, top countries, top channels, and top sites. To see your new AdSense reporting design and reporting dashboard, opt in below. Alternatively, you can opt in from within the Performance reports tab in your AdSense account. 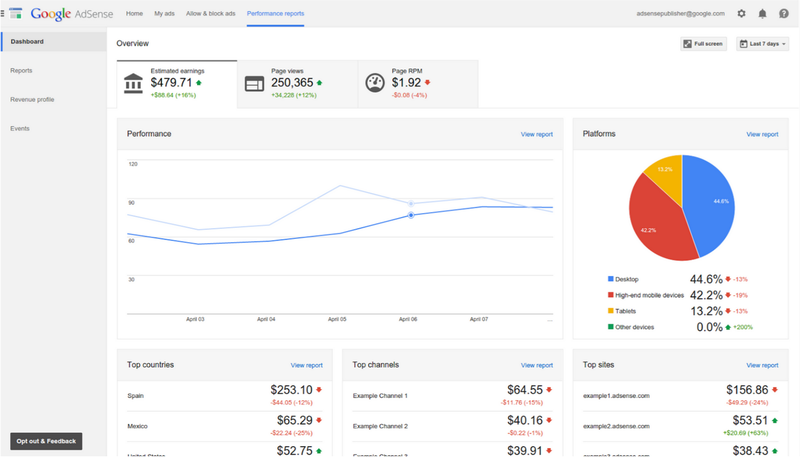 Start using new AdSense reporting today and let us know your thoughts in the comments below. Your performance reports are the key to gaining insights into how much you're earning and what impacts those earnings. To give you quick and easy access to these reports, we’ve introduced a new design for AdSense reporting with a new dashboard. Easier analysis: Get deeper insights by adding, changing or removing dimensions with the simple, redesigned dimension selector. Simple metrics: Better understand your earnings with the redesigned metric families. We've designed metric families to group related reporting metrics and separate the different ways you make money from ads. For instance, the Clicks metric family includes metrics that relate to the CPC bid type.